The Harley-Davidson® Ultra Limited is one of the premium models in the Harley-Davidson® touring lineup. 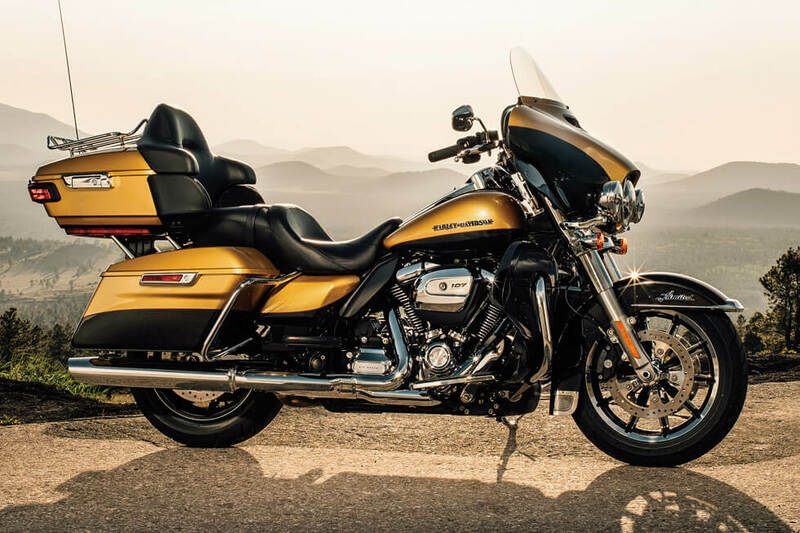 It’s loaded with the latest high-tech features, and smart design to make your long, multi-day rides a snap. For 2017 it receives a new Milwaukee-EightTM v-twin that deliver more power and more performance, so it’s better than ever! 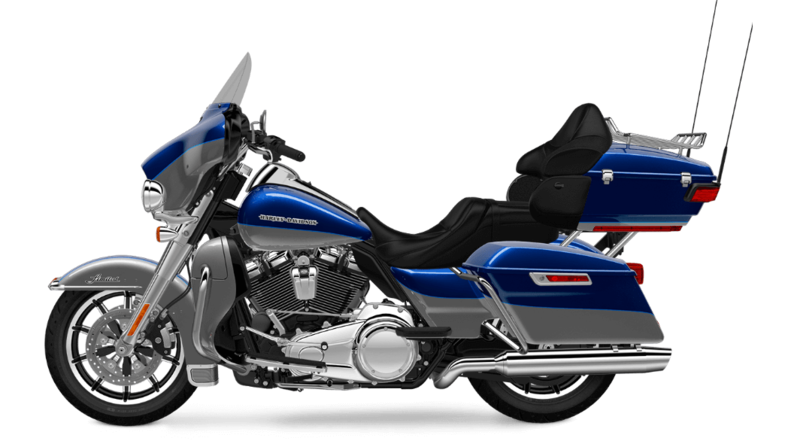 You want control when you’re out there on the road for a long ride, and the Ultra Limited gives you exactly that. 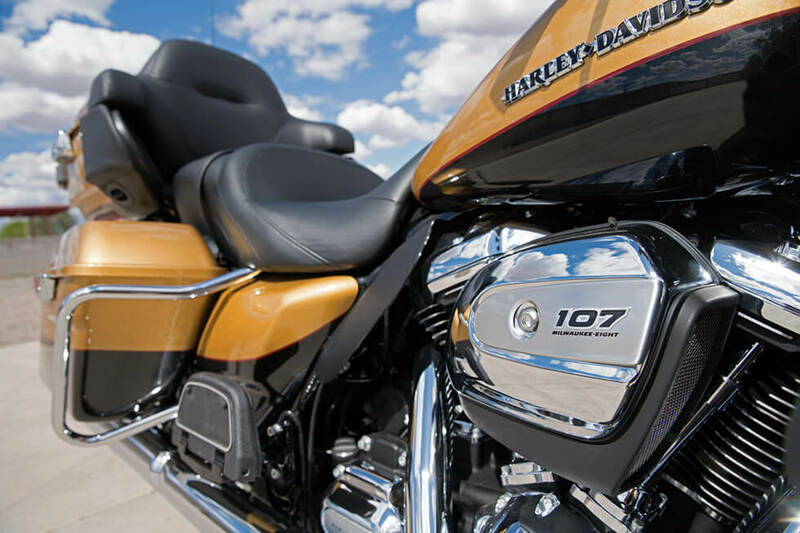 All-New Milwaukee-Eight™ 107 Engine: The new Milwaukee-Eight™ 107 V-Twin is a lot like Harley-Davidson® engines of the past, but it’s upgraded in every way. It provides more power and more acceleration. It runs cooler and smoother. It provides more charging power. It pumps out an even better exhaust note. 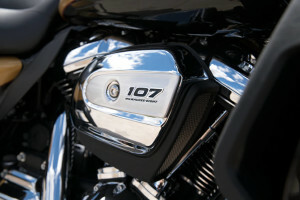 What more could you want from a new Harley-Davidson® Engine. Overview Milwaukee-Eight™ 107 Engine: The new Milwaukee-Eight™ 107 has a higher compression ratio to make more power with less fuel. That should be a relief to Los Angeles area riders. It also runs cooler and smoother thanks to a new exhaust system and a counter-balancer. That leads to more long-haul comfort. With more charging power, it will even keep your devices powered up—that’s an important feature when you’re far from civilization. Daymaker™ LED Headlamp and LED Fog Lamp: With a massive 2,136 lumens, the Daymaker™ headlight delivers an amazing 450 feet of illumination. You won’t have to worry about the sun going down. H-D® Smart Security System: This is a modern touring bike, and it comes with a high tech wireless keyfob that automatically activates your security system when you step away. 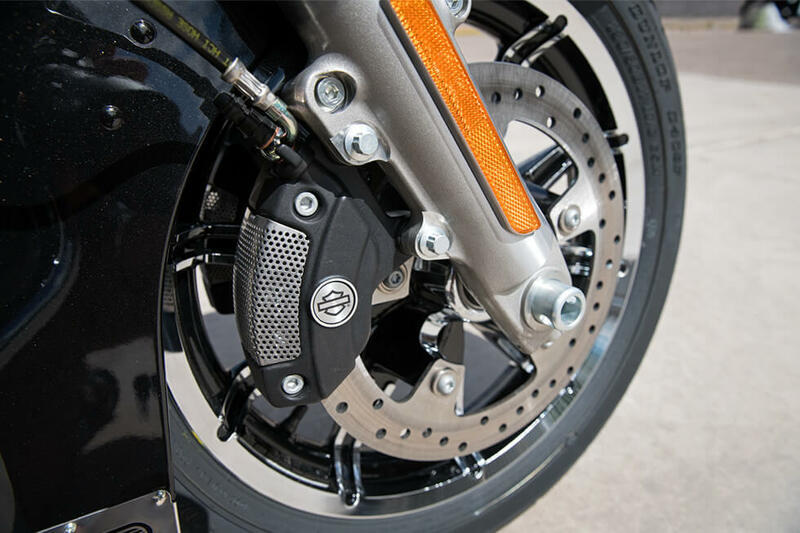 Reflex Linked Brakes with ABS: Thanks to linked, antilock braking, it’s easy to rein things in quick when the road gets treacherous. 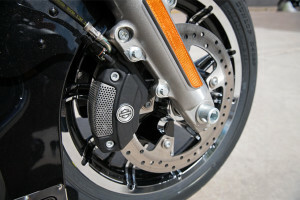 Air Adjustable Suspension: Set up your suspension to meet your preferences and needs. It’s a simple operation that takes only a minute, but it’s worth it for mile after mile of comfort and control. Steering Head and Forks: More confidence and control come from the oversized 49mm front forks, an increase of 18 percent over previous models. Ergonomically Designed Hand Controls: These hand controls are designed around you and how you want to ride, so hit the road and know you’ll still be comfortable after you’ve ridden all day. 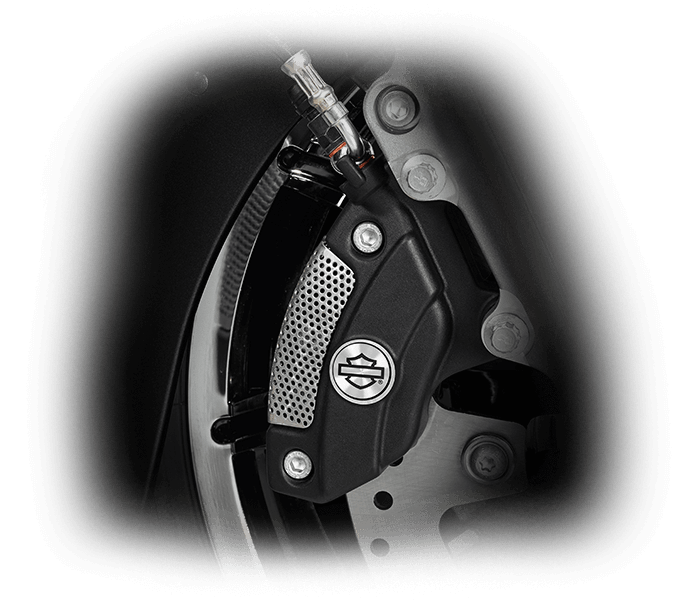 Brembo® Brakes: With the best name in the industry building your stoppers, it’s easy to know that you’ll have the power to slow down when you need to. Six-Speed Cruise Drive® Transmission: This smooth shifting gear box makes it easy to slip into the high end of the range for quiet, low rpm cruising on the highway. Dunlop® Multi-Tread™ Tires: 180mm tires soak up small bumps and deliver long lasting durability and performance for all your riding needs. 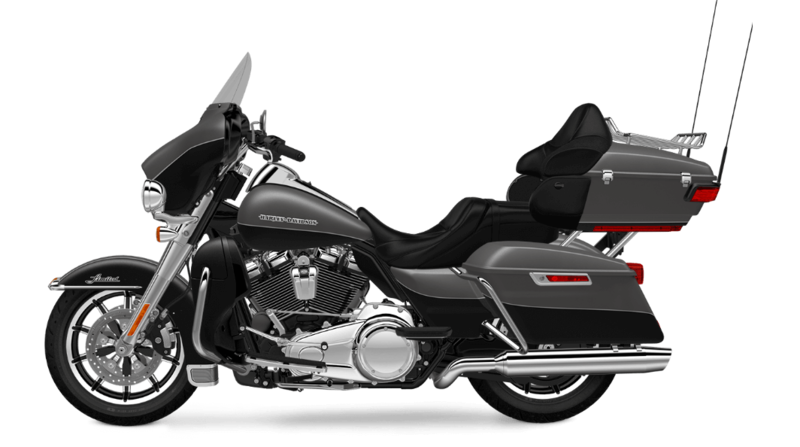 The Ultra Limited delivers all the smart infotainment and technology features that you want out of a modern bike. 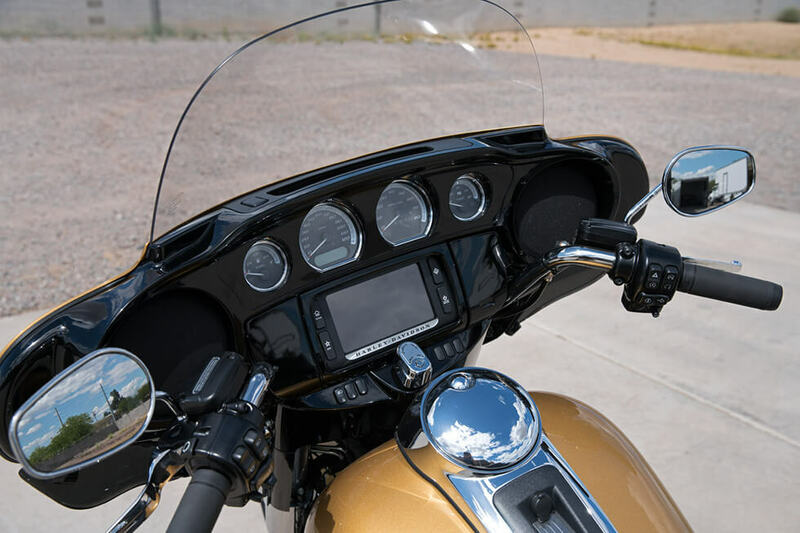 Project Rushmore Infotainment: Take advantage of navigation, smartphone integration, and plenty of entertainment options with this motorcycle exclusive infotainment system. 5.25-inch Speakers: These big, bold speakers deliver plenty of volume so your soundtrack always comes with you. Voice Recognition and Bluetooth: You can focus on the road and still take advantage of your infotainment system thanks to Bluetooth connectivity and voice recognition features. 6.5-inch Color Touchscreen: This easy to use, easy to navigate touchscreen system provides crisp, high-resolution graphics. 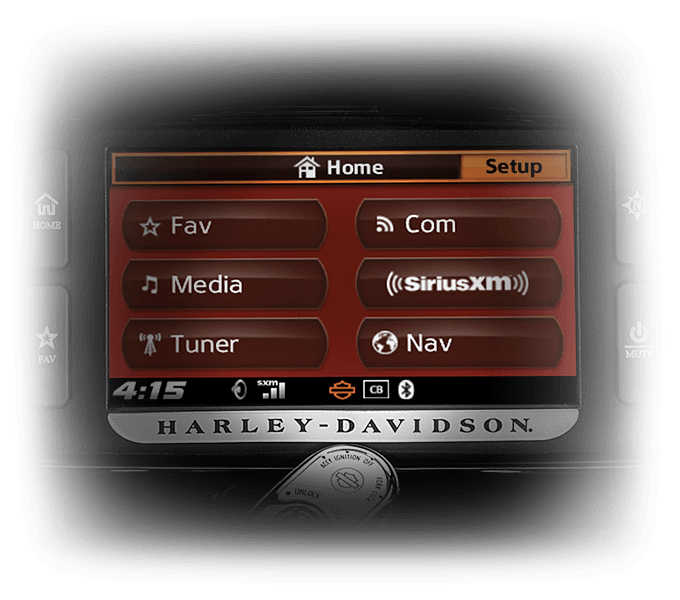 The Boom!™ Box 6.5GT Radio: This smart infotainment system pumps out 75 watts per channel at only 1% distortion. This means you’ve got all the volume you want, and it automatically adjusts both volume and equalization based on speed. The Ultra Limited delivers a truly exclusive custom feel unlike anything else on the road today. 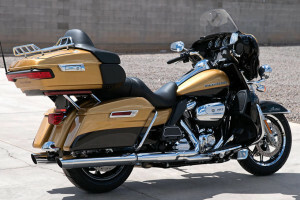 Fairing Design: The batwing fairing used on the Ultra Limited is the result of thousands of miles of real world testing. That way you know it’s meant to be your constant companion on the highway. Wide Set Handlebar: Spread your arms and let your hands fall naturally to these controls. They provide a perfect cruising stance. 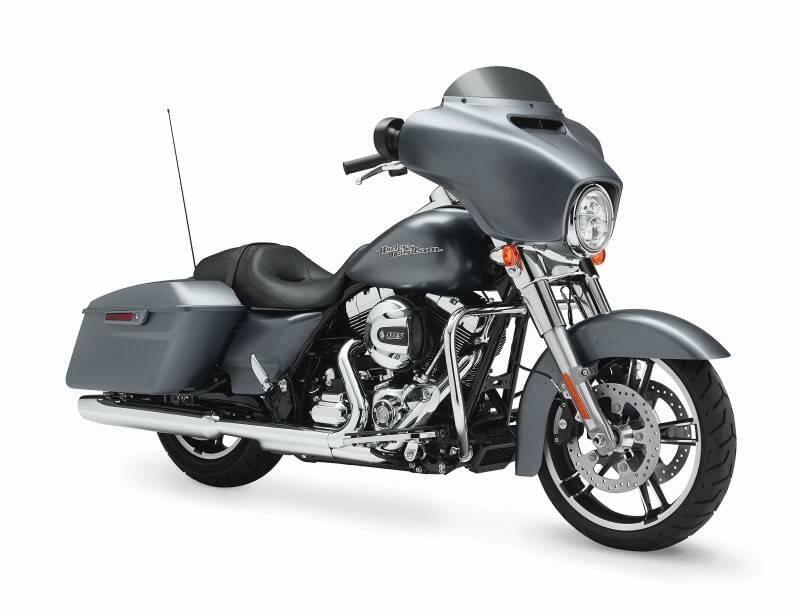 One-Touch Design Philosophy: Harley-Davidson® is aimed at providing easy to use features, and components like the fuel door and saddlebags can be opened with a single touch. Full Length Floor Boards and Heel/Toe Gear Shifts: Your boots can rest wherever they’re most comfortable on these full length floor boards. Rubber isolation cuts out that annoying road chatter for a more comfortable ride. 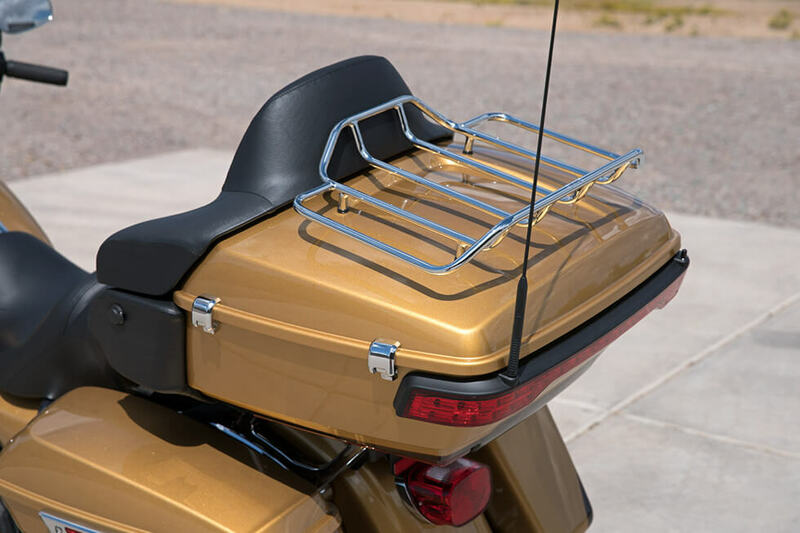 Saddlebag Design: These sleek saddlebags deliver secure, weatherproof transportation for your cargo. They even offer smart features like one touch access and a lock on the chrome handle. You won’t run the risk of scratching the Ultra Limited’s brilliant paint with your key. Battery Charging Harness: So you don’t have to spend any time installing a battery charging harness, it’s included as a standard feature. Tour-Pak® Luggage Carrier: The trunk box on the back of the Ultra Limited gives you added cargo space. It’s also fully waterproofed, it locks easily, and it has space for up to two full-face helmets. Passenger Seat Space and Leg Room: The passenger in back will be happy to learn that the Ultra Limited offers more legroom and more seat space than ever. Fairing Lowers: The fairing lowers provide protection from wind, rain, and road debris, as well as anything else that might jump up and bite you on the road. 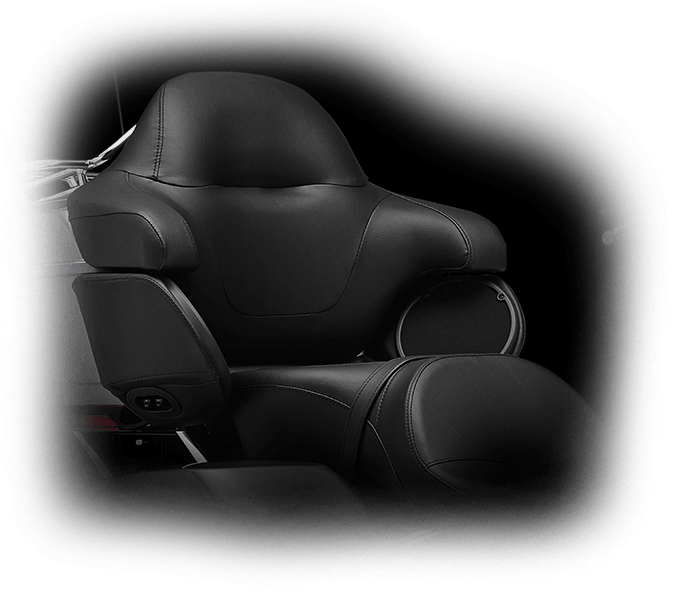 Back and Arm Rests: Back and arm rests provide added support and comfort to keep everybody happy and fresh on the long rides. Heated Hand Grips: You’ve got heated hand grips on this bike—a rare standard feature—that help you handle even the coldest rides with ease. 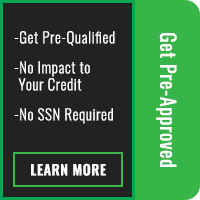 Cruise Control: Once you use cruise control for those long, empty stretches of highway, you’ll never want to go back to managing the throttle yourself. The Ultra Limited is a good-looking bike. That’s hard to deny. It exudes confidence and a premium style that’s like nothing else out there. High-Flow Airbox: Pushing more air into the engine helps it make more power, but this big, high-flow airbox also looks good doing it with custom badging and chrome finish. 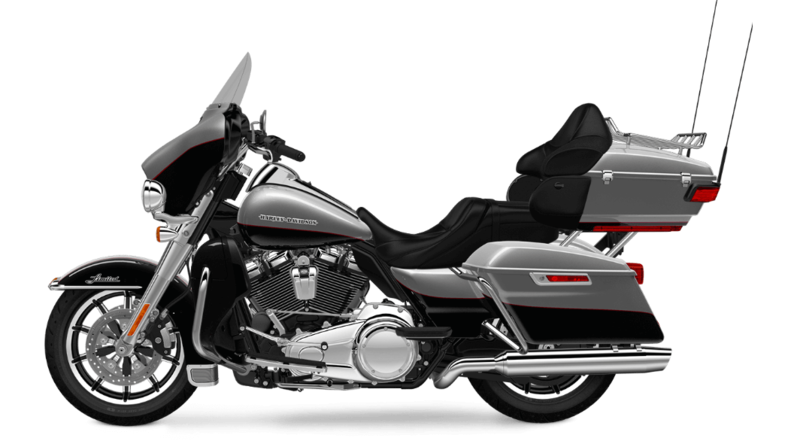 Restyled Fairing and Fender: Full wrap fenders with chrome accents, stylish and aerodynamic fenders, and a paint matched surface all add up to one completely integrated machine. 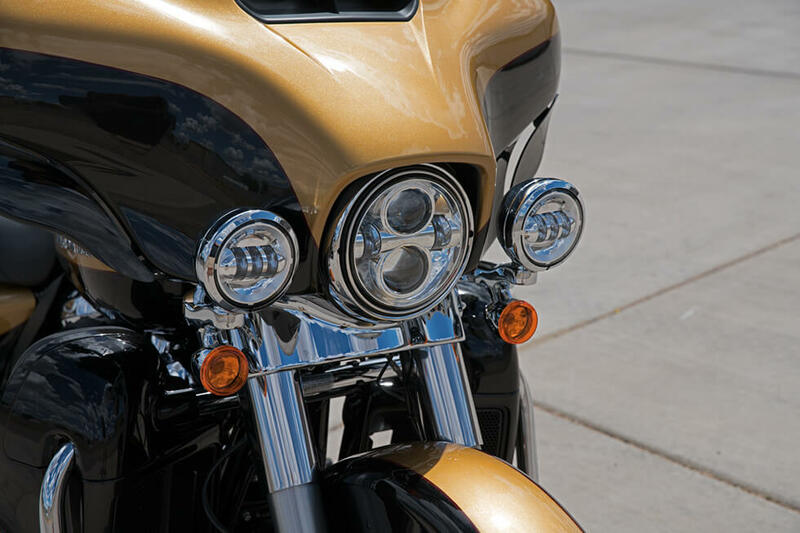 Bullet Turn Signals: Iconic bullet chrome turn signals deliver the information you want to convey to other riders or drivers out there when you plan to turn or merge. Inner Fairing Design: The inside of the fairing is painted black, making it easy to find the gauge or infotainment feature that you want. 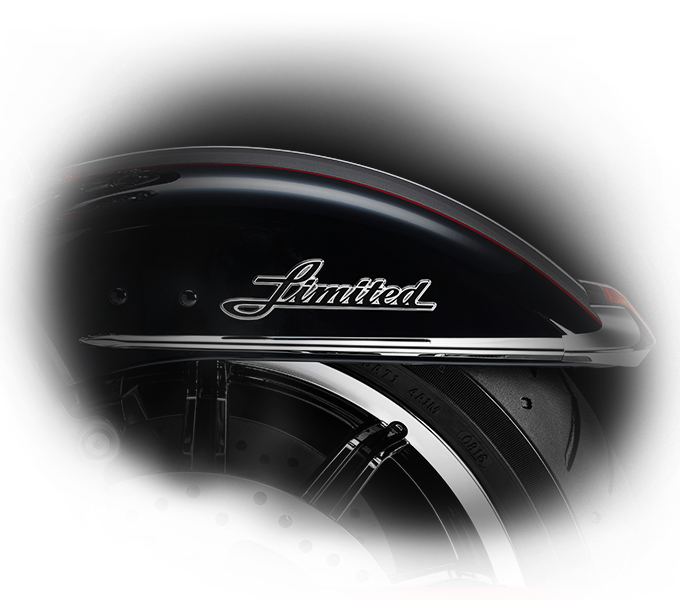 Impeller® Front Wheel: These classy, cast aluminum 17-inch front and 16-inch rear wheels do more than just roll. Their flashy, polished look will turn heads too. Classic Fuel Tank: This classic, paint matched metal fuel tank is pure Harley-Davidson® style. It gives you good looks and six gallons of capacity so you can make it to the next fill-up with ease. 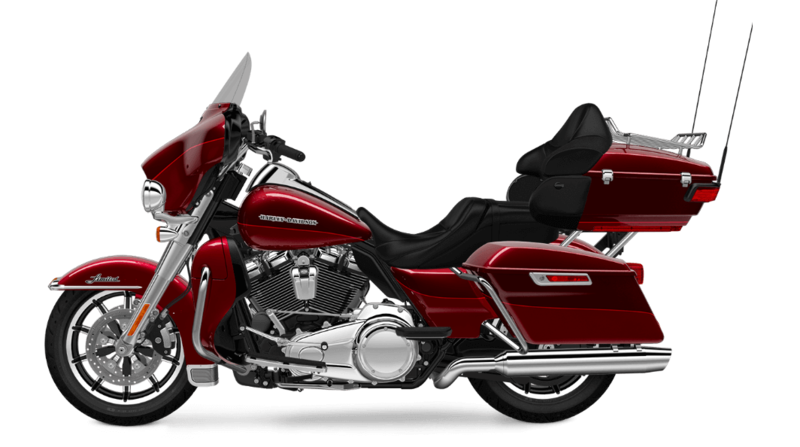 Pure Harley-Davidson® Styling: It’s hard to ignore the bold style of the new Milwaukee-Eight™. With unique racing scoop style air filter, chrome covers, machined cooling fins, and black powder coated cylinders, it’s bound to turn heads. 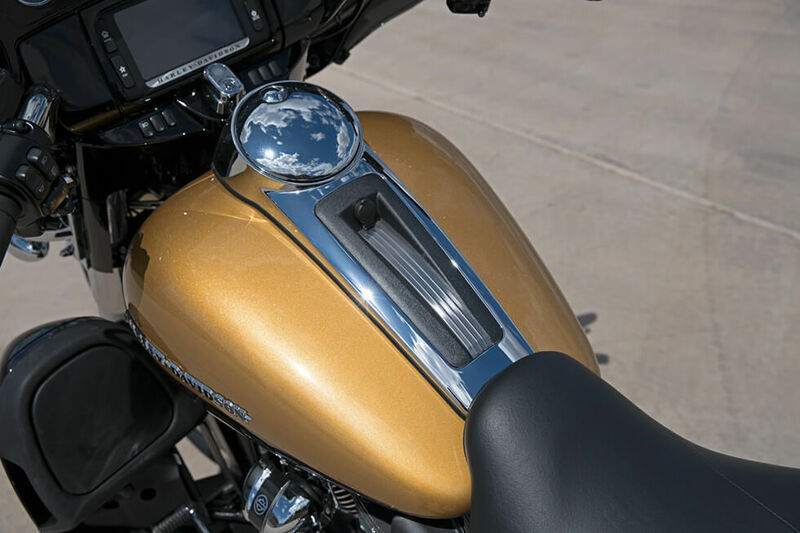 Tank and Fender Badges: These metal badges are works of art that indicate exactly where your ride came from.